This Tre Kroner Hunter model is outfitted with a black Thermorun handle and a satin finished drop point blade. The Fallkniven Tre Kronor was designed for hunting, camping, and general outdoor cutting tasks. 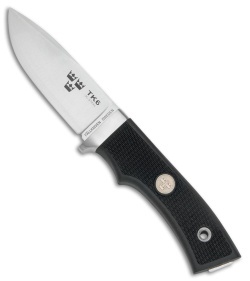 3G laminate steel blade in a satin finish. Thermorun handle scales provide a durable and lightweight grip. 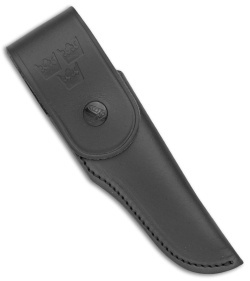 Item includes a molded black leather belt sheath.